If you are the happy owner of a new Kindle Touch you may be wondering what are the best accessories for the Touch. Check out my buyer's guide! 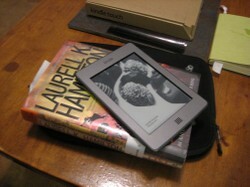 So you have a new Kindle Touch and you are wondering what accessories are worth buying for it. One of the clever things that Amazon does is that it ships their e-readers with a very simple setup - a USB power/connection cord and that's it. So what do you need to buy? Well nothing really - which will not stop plenty of people buying lots of Kindle accessories! 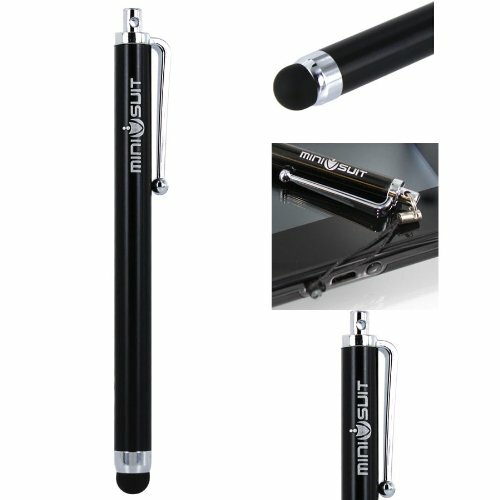 This is personal taste, you chose whether you want to use a stylus on your touch or just your fingers. The thing is if you do buy a stylus there seems to be a huge difference is the performance of the cheaper and more expensive styluses. This one is costs more than some, but is still reasonable, but has awesome reviews. Particularly recommended for anyone who has trouble with their hands through disability or just has fat fingers (like me!). How to Choose the Right One! 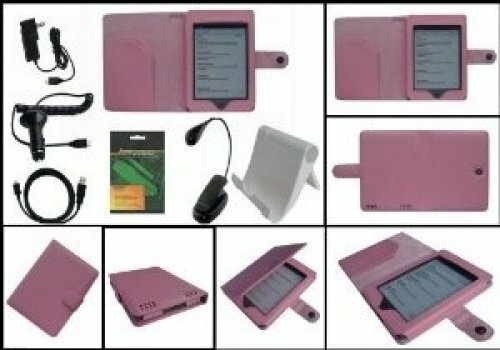 A cover, case or skin are probably the most popular accessories for any e-reader. The important thing is to get a case or cover that is designed specifically for the Touch. Although the Kindle 4 and the Kindle Touch look the same in photos - they are not the Touch is very slightly larger (check the dimensions). So if you are buying a close fitting cover, or particularly a skin, you must make sure it says Kindle Touch in the description! If unsure - ask! Once you have the size sorted, then its a matter of whether you want a case which stays on the Kindle while you read or a cover which you use as you take your Kindle with you. Purely personal taste, obviously having a permanent case adds slightly to the weight and bulk of the Kindle. The other choice is if you want to have a case which incorporates a light. This is a very streamlined option for someone who often reads at night with the lights out, or just in poorly-lighted rooms. If you have decided that you want to get a couple of accessories for your Kindle: cover, light, maybe a car charger, then check out the bundles available. They are extremely good value - and may well save you money, even if you weren't planning on buying all the items included! If you are not sure whether you want a case or a cover for your Kindle then a bundle is a good option too - you can try both, and sell or give away the one you don't use. Don't be too quick to discard the "extras" though - one Kindle is seldom enough for most households! It may be cheaper to buy a bundle! Now you own a hot Kindle Fire which are the best accessories to buy for it? Covers, cases, adaptors, car kits and kindle fire accessory bundles are all covered. Whether you have a new Kindle and you want to transfer your existing books, or you want to share Kindle books with a friend - here the things you need to know! 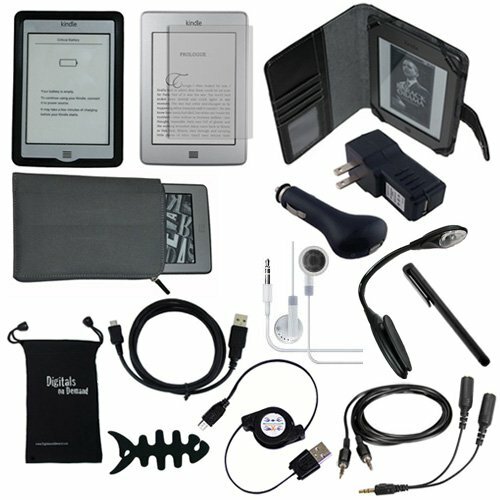 What accessories are available for your new Kindle? What are worthwhile, what are not? Check out this up-to-date buyer's guide! Kindle Unlimited: Is It Worth $120 a Year? This article discusses the value of various Kindle Deals (Daily Deals, Deals of Up to 85% Off, Cyber Monday Deals, Kindle Best Sellers, etc.) vs. that of Kindle Unlimited.